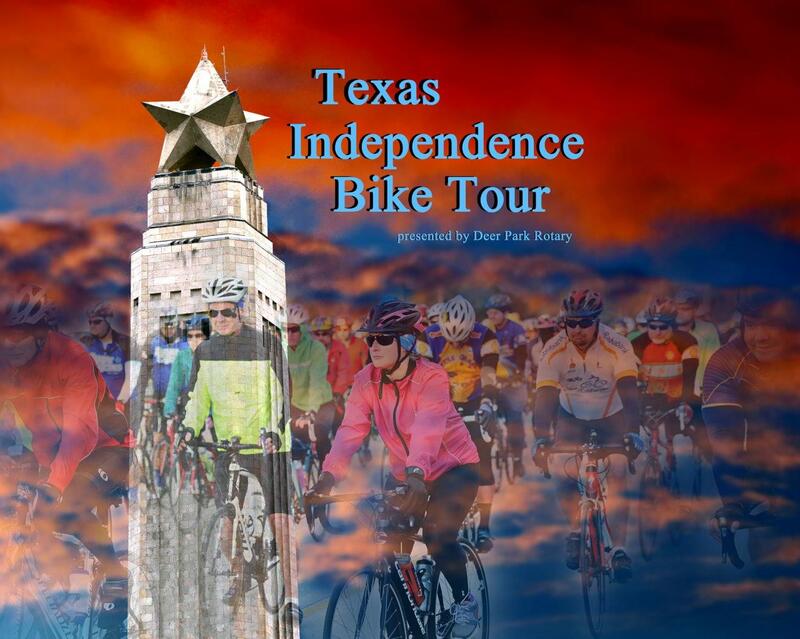 The Texas Independence Bike Tour is a one day event bringing cyclists from the Houston area together to tour the San Jacinto Battleground and adjacent communities. This event brings the community and Texas history together and raises funds to support the Deer Park Rotary Club’s service and scholarship programs. This is a BP MS150 Recommended Ride. 6:30-7:30 am - Onsite Registration / Packet Pickup for the 30, 48 & 62 mile routes.